This post has 9,651 views. 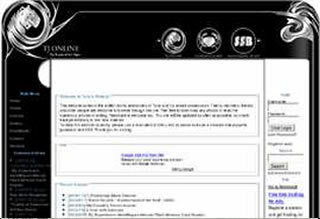 During those archaic days my websites bounced around several different free hosts and eventually they ended up in a free host called dhost.info which offered PHP and MySQL. It is during that time I actually learned about dynamic websites and that there’s many free scripts that one can use to run such a website. 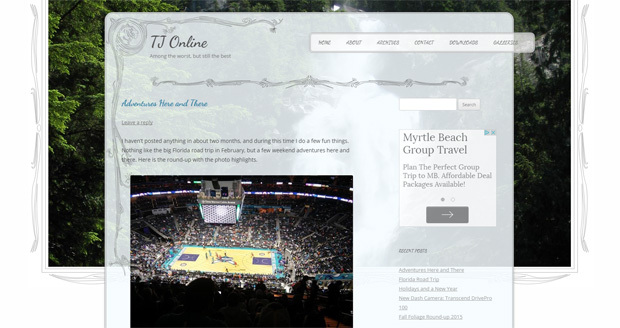 TJ Online has grown since its beginnings and it was getting tedious updating all the HTML pages manually, so I remade my website using the CMS Xoops. My Xoops website initially looked the first picture below, but it went through a number of themes. In the August of 2006, after a major downtime at the free host, I finally decided to pony up the cash and get a paid web host. With that came the tonyjiang.com domain name, and my Xoops website went through one final theme change. Since I forgot to take a screen shot of my Xoops site before deleting it off the server, I can only present a screenshot of my design mock-up. The Xoops website lasted for a total of about four years. In December of 2009, I decided to convert my website to the popular blogging platform WordPress mostly just for the heck of it. 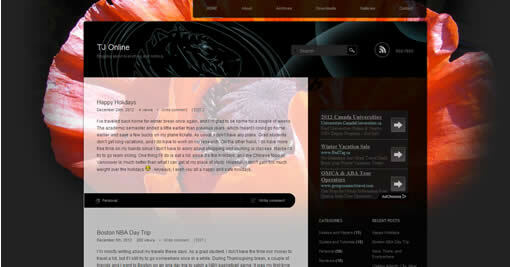 Below is the first theme I used that lasted from December 2009 to December of 2012. I decided to change things up again in 2016. The second theme I used lasted from December 2012 to May 2016.